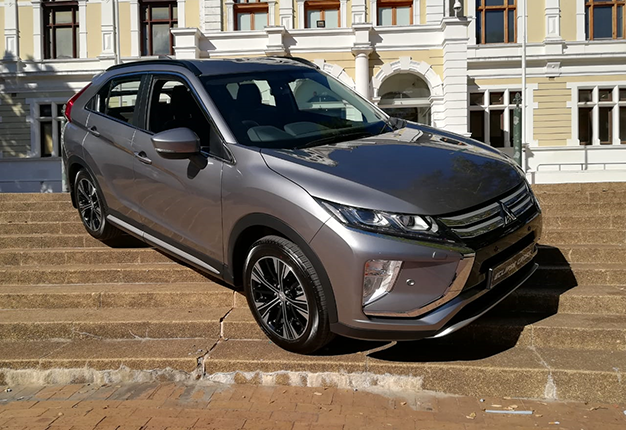 The all-new Eclipse Cross offers a defiant new-genre coupé approach, fusing stylish design and functionality for trendy individuals who are looking beyond the latest trends. Mitsubishi has breathed new life into its brand locally and hopes to create a stronger presence in the local market. And while this new outlook has not happened overnight, the Japanese automaker is keen to grab the attention of onlookers with its new offerings. The Triton Athlete and latest Pajero Sport are two prime examples of the automaker's new direction, so much so that if you've long forgotten the brand's prominence in the market during yesteryear, you'll be sure to take note of its evolution. The new Triton bakkie will also be launched early next month. The new Eclipse Cross is testimony to the brand's new vision. 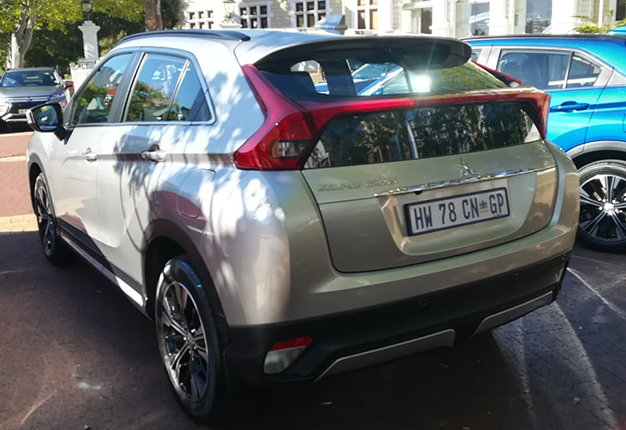 Despite being launched globally almost two years ago, it has finally reached our local shores because compact crossovers are all the rage and the trend continues to grow in South Africa. The Eclipse has distinctive, edgy styling with crisp lines and an assertive front end. The rear too is unlike Mitsubishi's former styling with a bold spoiler across the rear incorporating a brake light which also doubles as a second 'spoiler'. Very boy racer. Inside, the vehicle is plush with loads of niceties and soft-touch materials. There's dual air con, heatable seats, and loads of storage compartments, to mention a few bells and whistles. There's even a heads-up display unit which you can retract with a button if it's not your fancy. It has a 2.0-litre engine under the bonnet good for 108kW and 180Nm. It drives smoothly and cruises comfortably at highway speeds. It does however have a CVT gearbox and generally I am not a fan of these. With that said, with normal driving, you'll hardly notice any whining from the transmission, nor does it search desperately for the right gear. I like that quite a lot. When you task the crossover to do more than city cruising and push it through its paces the problems with its CVT is brought to the fore. It struggles to keep up with the engine akin to a gasping donkey in need of an asthma pump. But, it's really only when you have to push the car unnecessarily hard. Keep it at the comfortable speeds and this car is an absolute boon. Set the cruise control on the long road, and you'll be well pleased. Mitsubishi also says there's an auto 'kick' gear which prevents the car from struggling with those pull-away gears. Another tick for the good books. The Eclipse falls between the Outlander and the Pajero Sport in the Mitsubishi stable and is a lovely alternative for the ever-growing crossover market. Pricing for the manual 6-speed model is R399 900 while the CVT model will cost you R449 900.